Queen duvet cover (88" x 88") featuring the image "Near To The Evening " by Iva Rom-Lorenz. Our soft microfiber duvet covers are hand sewn and include a hidden zipper for easy washing and assembly. Your selected image is printed on the top surface with a soft white surface underneath. All duvet covers are machine washable with cold water and a mild detergent. Near to the Evening, 2010, Olin in Linen Canvas, 22x28. 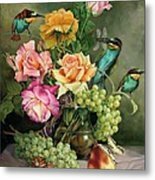 From Classy & Fabulous, Still-Life Romantic Art - Collection.Please, enjoy how captured the beauty, romance and timelessness of our floral world. 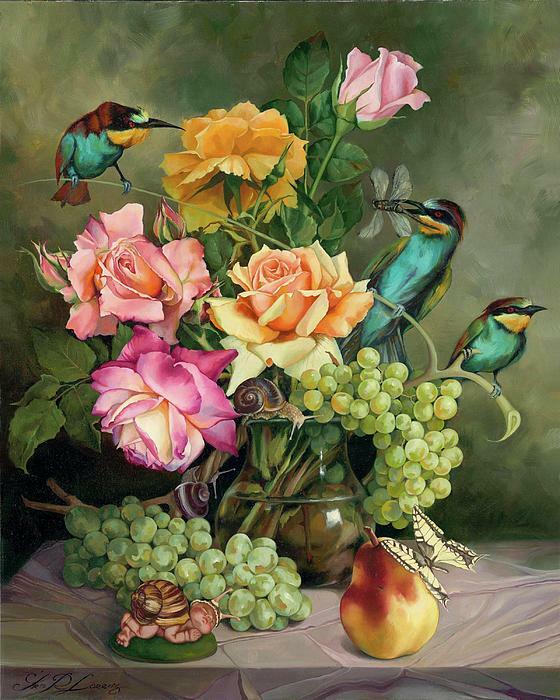 Powerful and joyful color palette and passionately reveals the eternal quality of nature. Luminescent hues and interplay of light. This original oil paintings on linen canvas is from the collection of I. Rom-Lorenz. All works by I. Rom-Lorenz are highly collectable and valued as a future prized addition to a serious collector's gallery. 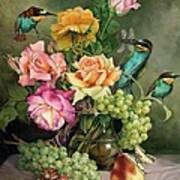 The artwork is done in high detail and is reminiscent of the style of old masters from centuries before. Art works are produced in very limited quantities, as evidenced by the focus to details, stunning realistic subject matter, and capture of lighting perspective. Currently in an ascending transitional phase of her career, I. Rom-Lorenz art works will continually increase in value as more collectors seek the limited supply of originals available.